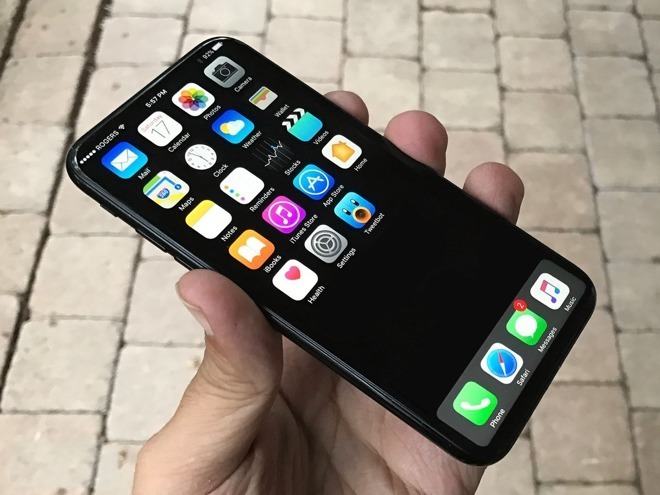 While this year's iPhone lineup is expected to feature just one model with an OLED display —the flagship "iPhone 8" —the company is rumored to embrace the display technology in a big way a year later, when it could offer three OLED iPhones. Apple apparently has three different OLED iPhone models in the works for the second half of 2018, according to Nikkei. The report cautioned that plans are subject to change, particularly with potential supply constraints. To date, Apple has not utilized OLED technology in its iPhone. Its only OLED products are the Apple Watch and the MacBook Pro Touch Bar. That's expected to change this fall, with the so-called "iPhone 8" rumored to feature a 5.2-inch OLED display. It's believed that the handset will be a premium-priced, flagship model, flanked by "iPhone 7s" models sporting traditional LCD screens in 4.7- and 5.5-inch form factors. Thursday's report didn't give any indication as to what screen sizes could use OLED panels in the second half of 2018. It's possible that Apple could stick with sizes of 4.7, 5.2 and 5.5 inches, or do something else entirely —like an even larger "phablet" device, or a next-generation 4-inch successor to the iPhone SE. According to Nikkei, the LCD "iPhone 7s" and "iPhone 7s Plus" are expected to be sold into early 2019, likely transitioning into budget models after a fall of 2018 refresh, if Apple sticks to its usual release schedules. The OLED screen in the Apple Watch is paired with a dark user interface, playing a key role in giving the wearable device a full day of battery life. A long-rumored "dark mode" in iOS could offer similar battery savings for OLED-equipped iPhones. 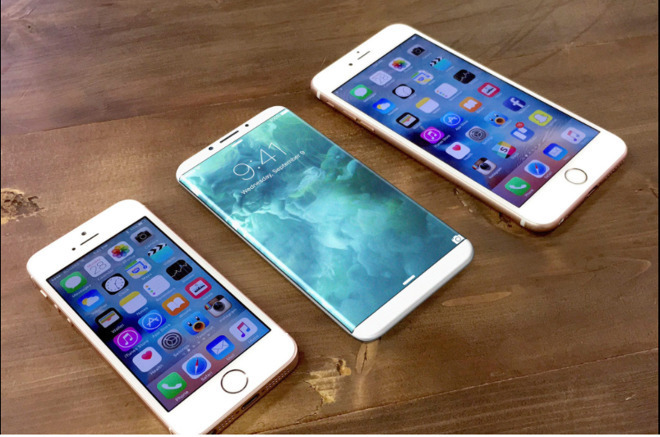 For now, this year's "iPhone 8" is expected to be produced in extremely limited quantities, held back by a number of new technologies rumored to be introduced, including an edge-to-edge OLED screen that will see the removal of bezels and the physical home button. As plans for the 2018 iPhone lineup begin to shape up, it sounds as though Apple hopes that any OLED capacity issues will be resolved over the next year. To that end, Apple has been investing significantly in OLED manufacturers and facilities, aiming to boost production of displays beyond what the market can currently provide. The world's top OLED manufacturer, Samsung, has also been spending billions to increase capacity in anticipation of Apple's switch to OLED.